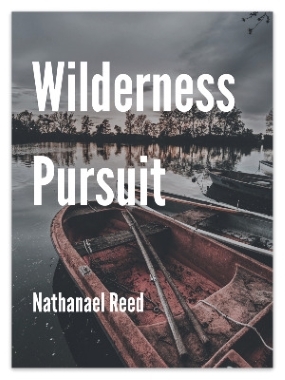 Wilderness Pursuit is an action-adventure story written for 10-14 year old readers, in the cliff-hanger tradition of Indiana Jones. When Joel Stewart and J.D. Turnbull are invited to go on a fishing trip with J.D.s dad in the northern Ontario wilderness, they are thrust into the adventure of a lifetime. Diamonds have been discovered on Mr. Turnbulls property and the claim has been stolen by a local madman. The boys quickly realize that the thief will stop at nothing, including the murder of innocent children, to make those claims his own. In a race down the Timberwolf River, with a cold-blooded killer at their heels, Joel and J.D. face dangerous situations at every turn: an out-of-control forest fire; wild rapids; bear encounters; and a mysterious stranger who befriends and helps the boys complete their perilous mission. An underlying theme dealing with the faithfulness of God is carefully woven into the storyline of the novel. With action and adversity experienced throughout their journey Joel and J.D. are forced to look beyond themselves and discover a God who truly cares about them.